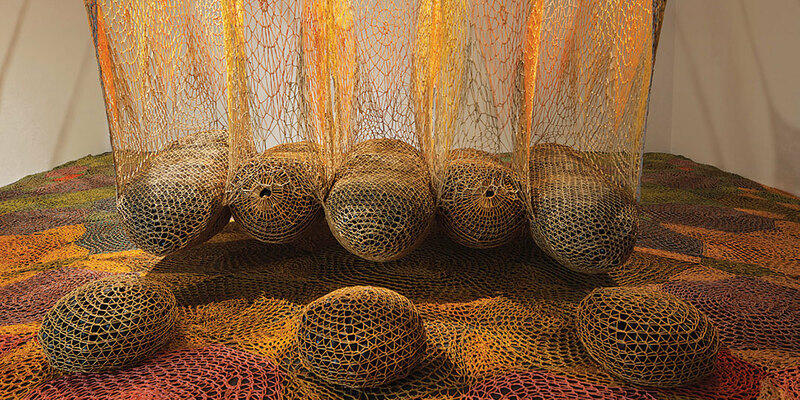 Since the late 1980s, Ernesto Neto has displayed an uncanny, sensual understanding of sculpture and its relation to the spectator, imploding all formal innova­tions of Brazilian modernity and Neo­Concretism. His retrospective at São Paulo’s Pinacotecaitself a feat of twentieth­century Brazilian art, having been renovated in the 1990s by architect Paulo Mendes da Rochawill include some sixty pieces, dating from the late 1980s to this year; the selection promises to exacerbate the friction between the loose, organic contours of his polyamide spheres and hanging bags of spices and the crystalline geometries of his hovering walkways. While many of his works hinge on the participation of the public (certain of his sculptures are meant to be penetrated and activated by the spectator), some of Neto’s latest works are rooted in concern for the environment and for indige­nous populations. An exhibition catalogue with texts by the curators will elaborate on the varied stages of Neto’s three­decade career. Travels to the Museo de Arte Latinoamericano de Buenos Aires, August 2019.